Hazy New England IPA brewed with azacca, citral and simcoe hops for a full, tropical & juicy beer. 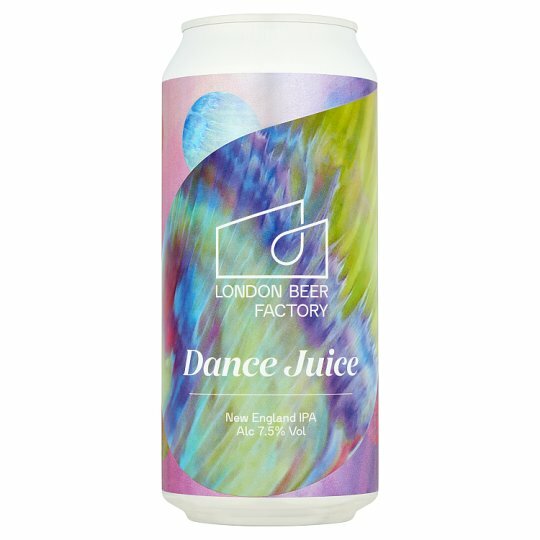 Dance Juice is inspired by a story that look place 500 years ago. When Frau Troffea took to the streets one hot, july day and just started dancing! The London Beer Factory is a modern, independent craft brewery creating exceptional & progressive beer since 2014. Based in South London, brewing for the world. Always store & serve cold., Store upright., Best Before: See Bottom.